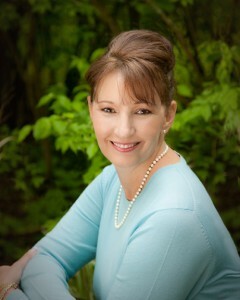 Fire and Ice is pleased to have the opportunity to ask a few exclusive questions of author Shelly Shepard Gray on site today! Her novel Peace: A Crittenden County Christmas Novel was just released in October and we reviewed it here last week. It’s perfect pick for the days before Christmas! How did you first become interested with or acquainted with the Amish? I happen to live an hour away from an Amish community. Long before I decided to write about the Amish I was a frequent visitor to their stores. When I started writing inspirational romances, having my characters be Amish was a good fit for me. Have you had a chance to visit them or live among them for research? I am friends with a lady who grew up Mennonite in Sugarcreek. She was kind enough to introduce me to one of her friends in Sugarcreek who is old order Amish. That lady has been extremely helpful when I’ve had questions. Tell us some Amish Christmas traditions. The Amish do not decorate for Christmas. Gift giving is also not a big part of the focus. However, they do bake Christmas cookies and other holiday treats. They usually do exchange one small or meaningful gift, perhaps something useful like a new wool coat or something for their home. The Amish I know also buy their children a few gifts to open on Christmas day. They also love to exchange Christmas cards. Is there more than one book planned or is this a stand alone? PEACE is actually a follow-up novella to last year’s Secrets of Crittenden County series. That trilogy followed the murder investigation of Perry Borntrager and how his death affected everyone who knew him. The books in that series are Missing, The Search, and Found. Next year, I’ll be publishing six novels. Three will be the Return to Sugarcreek trilogy, which begins with Hopeful in February, followed by Thankful and Joyful. 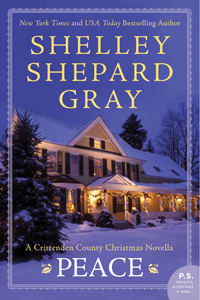 I’ll also be publishing a Christmas novella, an Amish historical, and a single title historical titled Secrets of Sloane House, under the name Shelley Gray. It will be an exciting year, for sure! It’s definitely wunderbaar, which means really, really wonderful. I love that! I started writing about the Amish because their way of life appealed to me. I wanted to write stories about regular likeable people in extraordinary situations-and who just happened to be Amish. Thank you for the interview and review! I’m so honored to be a part of your blog today!